Otah Boy Famous Nyonya Muar Otah is hand-made from the finest and freshest high-quality mackerel fish, fresh coconuts milk and Rempah (shallot, tumeric, lemongrass, chilies, garlic, onion, curry spices, garlic, galangal). Pls don’t be deceive by the packaging, the durian mochi inside taste like heaven. Hahaha. Item received within time scheduled. Repeat buyer. Good and quality products! Delivered within scheduled timings. Expiry Nov2019. Yet to try. first purchase hope its good! Both Mango and Durian Mochi taste good. Nice durian mochi, love it! For the selection of the Express shipping option "Qx quick", as based on the 4 time- slots. Pls ensure that you are available at home as per the time slot that you have chose. Example, Buyer chose 10a.m to 12p.m timeslot. Buyer will need to be available at home as per the time-slot chose, as the deliveryman will be delivering during the time-slot. Pls ensure to note on the date and time for that day, to avoid possible failed delivery. Hi. When will have $9.90 promo again? Can you consider lowering the minimum purchase amount for free shipping? This has been going up many times and does not make sense now to order 8-10 packs to enjoy the free shipping. What happened to my order? It disappeared from my records. 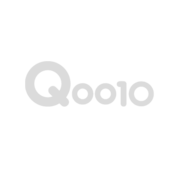 We are not sure, can you check with Qoo10 and provide your order number, we don't manage the website. we only the order instruction from Qoo10. Hi may I know do you deliver on 9/8??? Vegetarian Spring Roll (Vegetarian)(400g)(600g) | Single and Bulk Purchase Available! !